The Sicilian ethno-folk group Oi Dipnoi was born with the aim of revitalizing the new Italian folk through the use of traditional southern Italian instruments such as bagpipes and diatonic accordion. 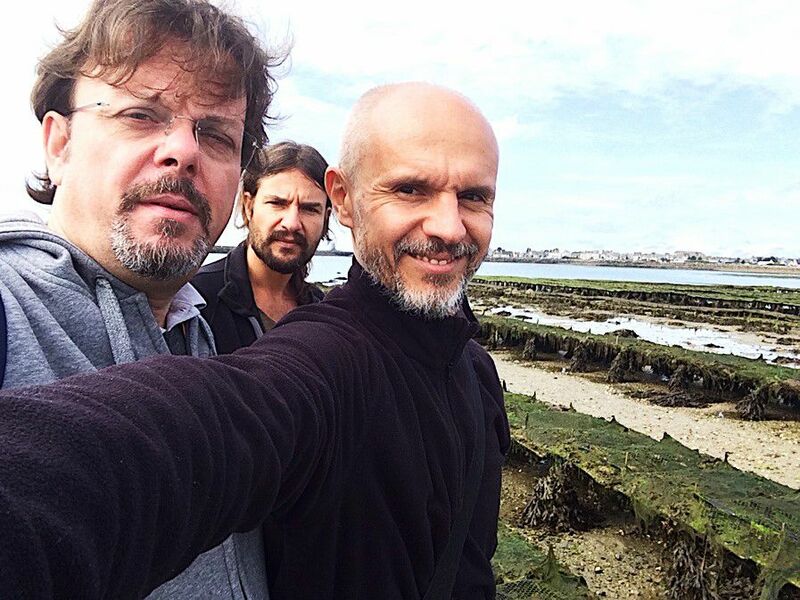 The project was launched by three Italian musicians who had been active on the international stage for over 10 years: Valerio Cairone (accordion, bagpipe and vocals), Marco Carnemolla (fretless bass and vocals) and Mario Gulisano (tambourine, jew's harp, cajon, dumbek and voice). ‘Dipnoi’ are living fossils, an order of prehistoric fish that have vestiges of rudimentary lungs: during periods of drought, adapting to the environment, they take refuge in small, moist burrows and can breathe atmospheric oxygen. With this metaphor the group wants to affirm the capacity of survival also through economic and social conditions which do not allow musicians to fully express their artistic potentials The poetics developed by the Oi Dipnoi trio were born out of the meeting between tradition and innovation: one enriches the other in a constant dialogue in which the assets of the musical culture of the island are given new value. An inheritance from Valerio Cairone, a multi-instrumentalist who collected the melodies of the region. The protagonists of this heritage were shepherds, farmers, carters, a universe that was well explored by famous writers in Sicily at the end of the nineteenth and the beginning of the twentieth centuries. The result is a new sound full of personality, thanks to a charming and light fusion with elements of jazz and progressive archaic folk. The group has already performed in several European festivals such as the Adriatico Mediterraneo in Ancona, Zampognarea and Musicamilo in Siciliy, Nádasdy Folk festival in Sarvar, Babel Sound in Balatonlelle e Kaláka Folk festival in Eger, Hungary, Frazzanò Folk Festival in Sicily, Paesaggi Acustici a Corropoli and Epidaurus Festival in Cavtat, Croatia. In 2015 they have published their first CD Bastrika (which means ‘breath’ in Sanskrit), which has already been presented in 2017 during their Australian tour, which took them to Melbourne (Italian Cultural Institute and Co.As.it Museo Italiano), Brisbane, Canberra (National Folk Festival), Sydney (Italian Cultural Institute) and Perth (Fairbridge Folk Festival). Free event.